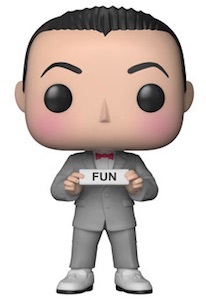 The craziness continues with Funko Pop Pee-wee's Playhouse! The Pop! Television set travels to Puppetland for more fun. A children's television show with a cult following, Pee-wee's Playhouse was a Saturday-morning staple from 1986 to 1990. The Pee-wee Herman figure captures the essence of Paul Ruben's well-known character, including the rosy cheeks, short haircut and his gray suit with a red bowtie. 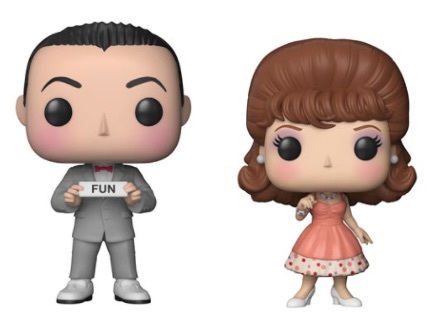 Shop Pee-wee Pop! figures on Entertainment Earth. Accompanying Pee-wee is Miss Yvonne, "the most beautiful woman in Puppetland." 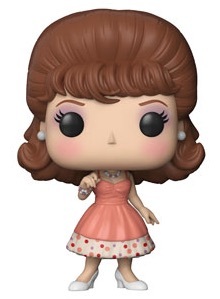 She comes with big hair, a pink dress with polka dots and white high heels. Heavy on makeup, Yvonne also wears pearl earrings. While there are many other characters in Puppetland, the only other option in the initial Funko Pop Pee-wee's Playhouse release is a combo pack for Chairry and Pterri. 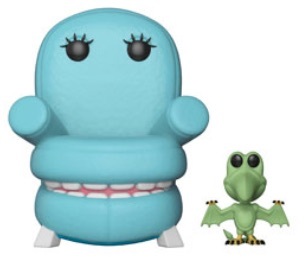 Chairry is a blue-green chair that uses the seat cushions as a mouth, while Pterri the green pterodactyl is one of Pee-wee's best friends. Box numbers to be added. Box numbers and final images will be updated. Buy figures on Amazon using the links below.